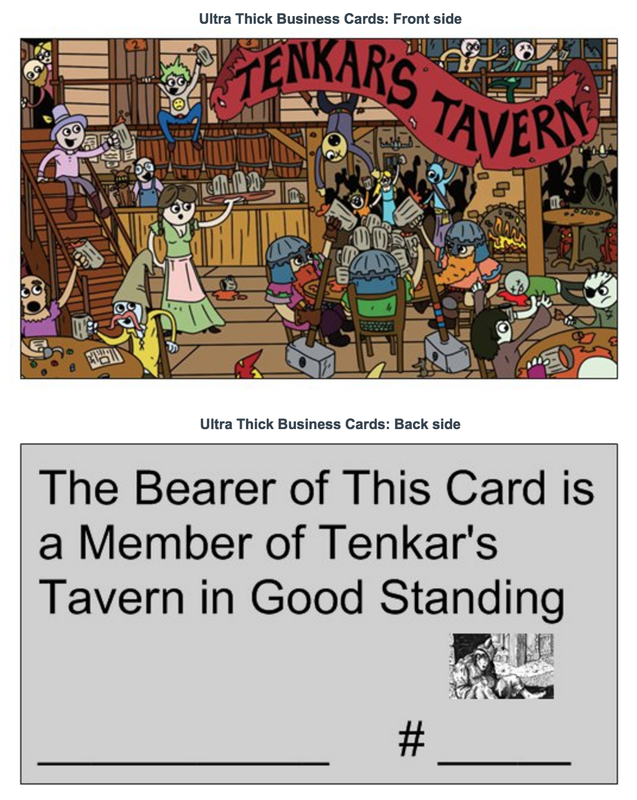 I sent out over 235 invites (some requests were made by couples - 2 cards, 1 email) to The Tenkar's Tavern Google Group Community yesterday (well, I finished after midnight) as well as individual emails to let folks know the invite was incoming. If you haven't gotten your invite yet, check you spam folder. If you need a new invite, email me at the same email you used to ask for a card. The Tenkar's Tavern Group is where you will find you discount codes, links to free and discounted products, announcements for brick and mortar promotions, deals at cons and the like. If your not in the group, you won't have access to these bennies. If you are in the group and want to change the email your notifications go to, again, send me an email with your current email and the email you want to use and we'll delete the one and invite the other. It's that simple. If you signed up via Instant Messaging I don't have your email and you didn't get an invite. Forward me an email address if you want the bennies to go along with your free Tenkar's Tavern Card. If we include folks that I know are going to sign up (we've spoken, I have your emails, I may just do it on my end) we are just a few members short of 250 soon to be card carrying members. To think I came close to ordering only 250 cards (I ordered 500, so we are good for a bit). I'll be very happy when every request is entered into the spreadsheet, as we have requests from all over the world. It's nice to see The Tavern has a large and far reach. Note - We have over 240 requests and I'm still waiting on delivery of the cards. (I won't have an accurate number until I complete the spreadsheet, as some emails requested 2 cards - couples - and a small number of requests were made via Facebook IM). Requests made at this point are probably looking at 3 weeks from now or so for delivery. I've never done this before, so this is pure speculation. It depends on the number of cards I can prepare and mail on a daily basis.